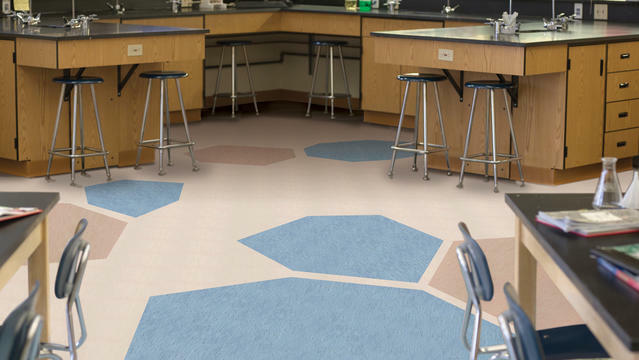 Ideal for heavy-traffic areas, Contract Plus by Tarkett is a durable, multipurpose vinyl floor. Ideal for heavy-traffic areas, Standard Plus is a durable, multipurpose vinyl floor offering an ideal balance between aesthetics and excellent value for money. This compact floor is available in a unique semi-directional pattern in 14 colors and stands up to the heavy traffic common in schools, healthcare, retail and other commercial environments.